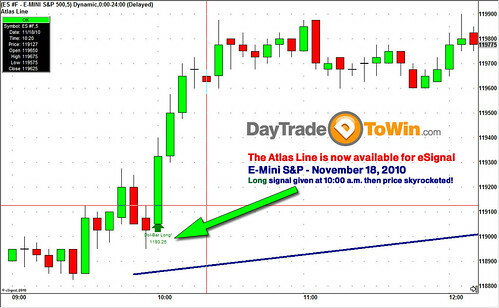 Day Trade To Win’s proprietary and powerful Atlas Line™ method is now also available for the eSignal trading platform! With these complimentary capabilities, the Atlas Line™ consistently pulls in profits for traders of futures, currencies and other markets. The Atlas Line™ was created by price action trader and mentor, John Paul. What’s unique about this method is that it can be applied to all markets, instruments, time zones and chart configurations. This robust filtering method can be used as a standalone solution or used in conjunction with other trading methods for entry confirmation. 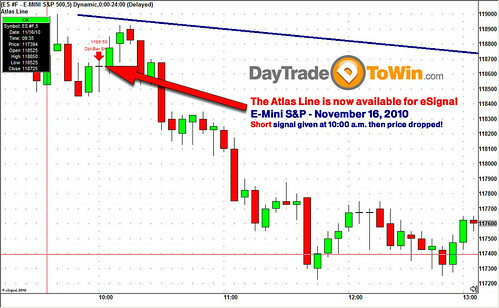 Once the Atlas Line™ begins plotting, its users have an edge over other traders: advance knowledge of where the market is headed and how to respond. By trading one contract, many customers have found that Atlas Line™ pays for itself in less than one month’s time. In the business of day trading, there are no other day trading systems that can produce a comparable level of consistent accuracy. 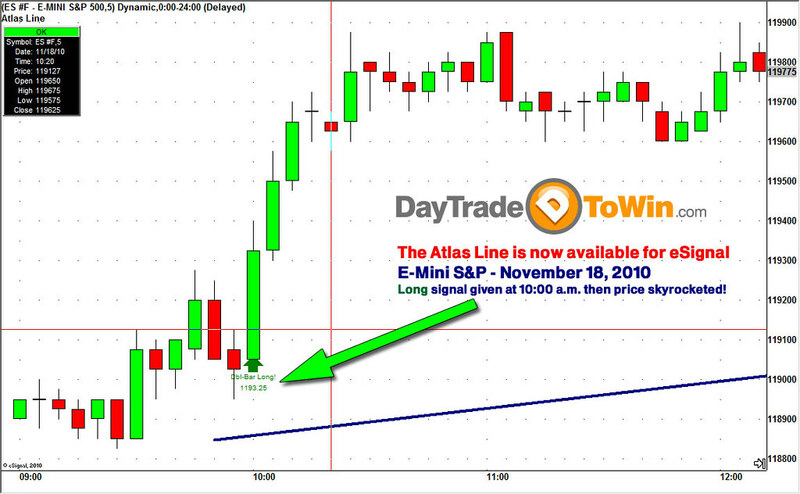 The Atlas Line™ is the only tool you’ll need to trade the E-Mini S&P, Euro, Crude, or any other liquid market. eSignal traders can now expect the same results as experienced by NinjaTrader and TradeStation users. I bought the Atlas Line about 6 mtnhos ago and can’t trade with out it. I need to have actual direction and this Atlas Line really works. I recommend any trader use if for day trading. -Harold QQQ forextraders inc.